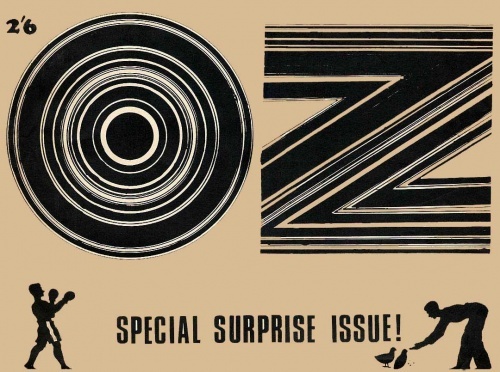 Oz Magazine was a scandalous magazine and a major part of the 60’s underground scene. 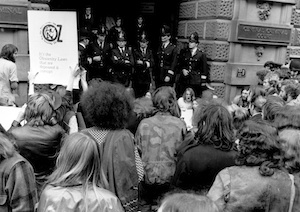 It was considered a psychedelic Hippie Magazine and very anti-establishment by many, although it was much more than that. The magazine was first published in 1963 in Sydney, Australia and then later 1967-1973 in London, England. Richard Neville, a “futurist”, was the editor. Martin Sharp, Richard Walsh, Jim Anderson and Felix Denis were Co-editors. Phillipe Mora (Mirka Mora’s son) and Germaine Greer were major contributors. In 1967 Robert Whitaker was living in “The Pheasantry” on the Kings Road, London. “The Pheasantry” was a melting pot for many influential artists of the time. Martin Sharp, a good friend of Robert’s came from Australia with Richard Neville, and Martin lived with Robert at “The Pheasantry”. Martin Sharp had been experimenting with many new colour techniques, and was creating a visually stunning publication. 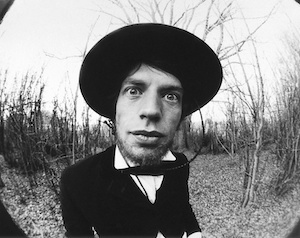 Robert contributed many photographs to Oz magazine. 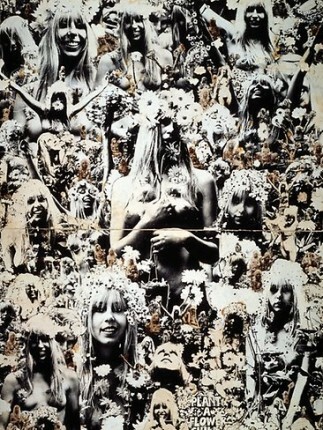 In Issue number 5, Martin and Robert made “Plant a flower child” and a photo taken by Robert of Jenny Kee was used on the cover of Issue number 17. The Magazine often pushed the limits of what was “acceptable” ended up being charged in two obscenity trials, 1964 and 1971. Nothing ever came of the charges. During their time together at “The Pheasantry” Robert and Martin created Cream’s Album cover Disraeli Gears. This happened after Martin cut up a number of photos that Robert had taken of “Cream” during a trip to Scotland, and turned them into a collage. Robert worked with many of the crew of Oz magazine in future projects such as the film “Darling do you love me” starring Germaine Greer and directed by Martin Sharp. During the 90’s Richard Neville wrote a book “Hippie, Hippie, Shake”, which is a memoir of his time with Oz Magazine in London and his girlfriend Louise Ferrier. in 2007 the book was turned into a movie of the same name. It stars Cillian Murphy as Richard Neville, with Sienna Miller as Louise. Robert took many photographs during the filming of the movie. The movie has yet to be released. 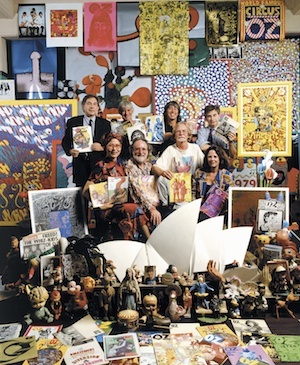 Image includes Richard Neville, Martin Sharp, Jenny Kee and others.